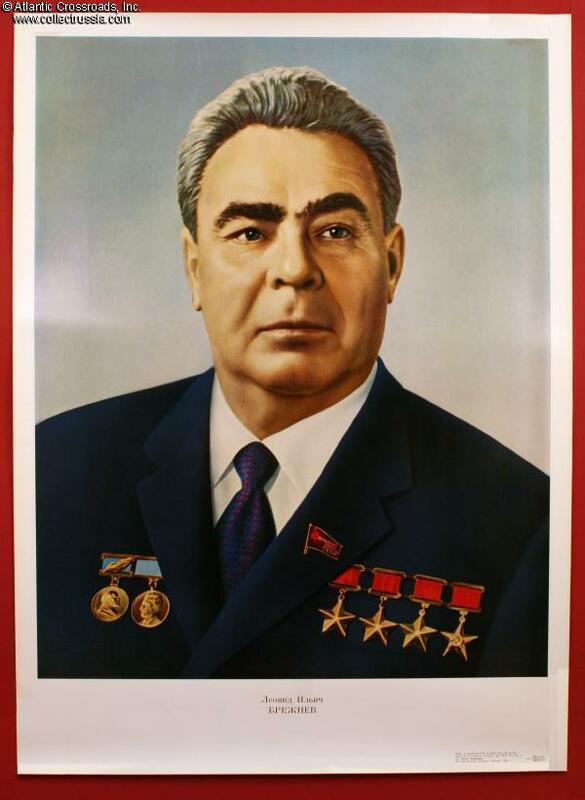 Leonid Brezhnev, portrait of the leader of the USSR from 1964 until his death in 1982. 19 1/4" x 26 3/8". Portrait printed in 1979. 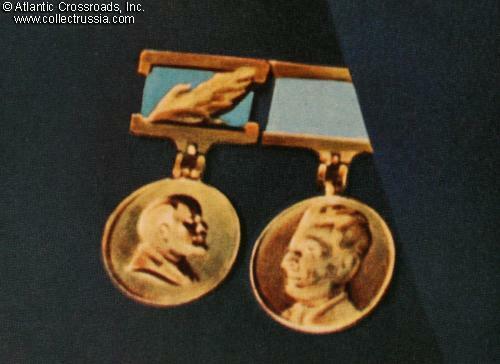 It is a combination of what his face looked like at about age sixty and shows many of the awards that he regularly wore on his business suit at age 73 (when this print was produced!). 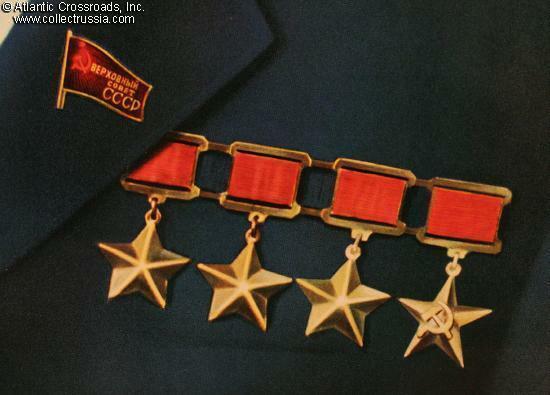 If you missed seeing the rare, unretouched portrait that allowed him to look like the ambulatory mummy he became, one could be forgiven for assuming that running the USSR was a youth-sustaining activity.